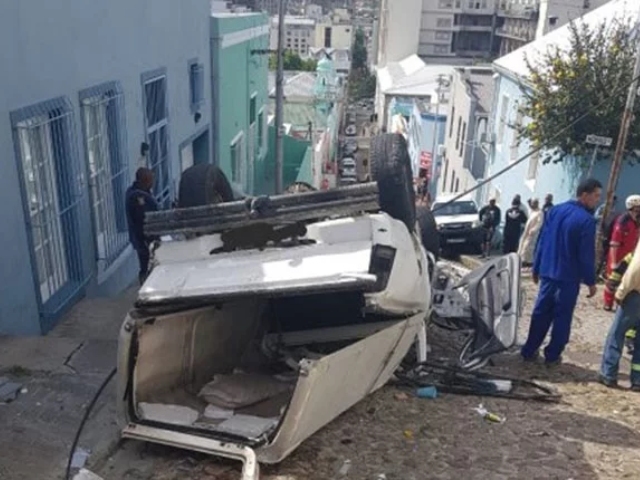 The Bo-Kaap is not the kind of place that you want your bakkie’s brakes to fail, because those hills are unforgiving and many of the roads are somewhat narrow. Brake failure is exactly what happened to an unfortunate vehicle back on October 16, although the footage has only now surfaced online. Emergency personnel arrived on the scene to find the bakkie on its roof, an ER24 statement said. Occupants in the back of the vehicle were injured when the bakkie flipped over. Paramedics assessed them and found that two men had sustained serious to critical injuries while five others sustained minor to moderate injuries. Someone close to the family of one of the occupants, who asked to remain anonymous, told News24 that the bakkie’s brakes failed, which caused the driver to lose control. I have no idea what make of bakkie that is, but if you’re after safety, then the results of a recent test by Global NCAP and the Automobile Association (AA) South Africa may interest you. Global NCAP chose the entry-level version of each model and as a result, all were fitted with at least one airbag as standard. The results highlighted significant differences in the structural integrity of the vehicles tested. “Of concern with these results is that the most expensive vehicle tested in this round – the Nissan NP300 Hardbody – produced the lowest score of all tests completed to date, achieving a 00.00 score and zero stars, said Collins Khumalo, CEO of the AA of South Africa. 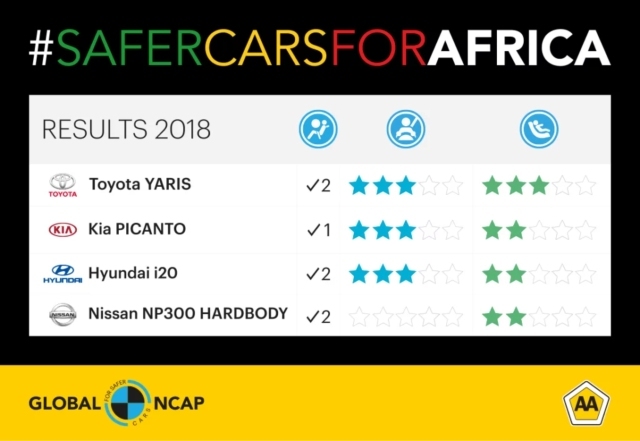 David Ward, secretary general of Global NCAP said that while a trio of three-star results is acceptable, the zero star Nissan NP300 is shockingly bad. “It is astonishing that a global company like Nissan can produce a car today as poorly engineered as this,” it said. Not a great look for Nissan, right? You can read more about those tests here.